Lemons are another terrific citrus fruit. They can help treat throat infections and indigestion, alleviate constipation, relieve respiratory disorders and cholera, tame high blood pressure and provide benefits for healthier skin and hair. Indeed, lemons have been known for various therapeutic properties for generations, especially their qualities for strengthening the immune system. The peel also impedes tumor proliferation according to a study published in the Journal of Agricultural and Food Chemistry. Likewise, research in the journal of Nutrition and Cancer found a striking reduction of squamous cell carcinoma in those who ingested citrus peel, compared to participants who only consumed the juice. The team believes these findings are due to the concentration of d-limonene oil in citrus fruit rinds, a known inhibitor of breast, lung and colon cancers. D-limonene and related terpenes have shown considerable benefits in animal studies against a wide number of cancers, notes Dr. Michael Murray, ND, a naturopathic physician. Preliminary studies in humans are also showing promising results. 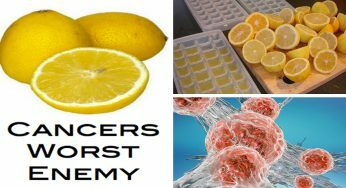 For example, six individuals with advanced cancers were able to halt the progression of their cancer for periods of time ranging from six to twelve months while taking d-limonene. Citing a University of Arizona Cancer Center study, Murray noted further that 43 women with newly diagnosed (operable) breast cancer who elected to undergo a lumpectomy were given 2 grams of limonene daily for two to six weeks before surgery. Get Dr. Christensen’s eGuide, Got Mold, Now What?, to identify symptoms and diseases associated with toxic mold! Blood and breast tissues were collected by researchers to determine the level of d-limonene and its metabolites, in addition to changes in systemic and tissue biomarkers of breast cancer risk or carcinogenesis. Results showed that d-limonene was found to preferentially concentrate in the breast tissue, reaching high tissue concentration (average = 41.3 g/g tissue), whereas the major active circulating metabolite, perillic acid, did not concentrate in the breast tissue, Murray wrote, citing the study. Results also showed that d-limonene supplementation resulted in a 22% reduction in the expression of tumor markers. Specifically, d-limonene reduced the expression of breast tumor cyclin D1. What this actually means, of course, is that diet and nutrition that is to say, proper diet and nutrition is largely responsible for keeping cancer at bay, even preventing it altogether. But you’re not likely to hear much about this truth in the traditional medical community or the mainstream media. The mainstream medical community and Big Pharma, both of which have turned cancer treatment into a high-profit industry, are simply not going to tell you about the breakthrough information presented by naturopathic health experts. They’re not going to tell you about the various success stories real, live people who have had their cancers cured through natural means.